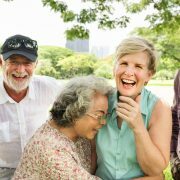 Results published in “The Age Well Study” show multiple benefits for seniors who live in Life Plan Communities. Also known as a Continuing Care Retirement Community (CCRC), a Life Plan Community is an age-restricted property that includes multiple levels of care—independent living, assisted living and skilled nursing—on one campus. The recently released study was commissioned to understand the impact of living in a Life Plan Community on residents’ health and wellness. It compares outcomes for seniors who live in such an environment to those who don’t. Respondents in “The Age Well Study” reported that their social, intellectual, physical, and emotional wellness improved after moving to a Life Plan Community. Residents living in a Life Plan Community have more social contact and feel less lonely. It’s no wonder, with the variety of activities and programs these communities offer. At St. Catherine’s Village, for example, each segment—independent living, assisted living, memory care, and skilled nursing—has a full calendar of activities for residents each month. These range from daily devotion for spiritual enrichment to mixers and events that encourage interaction. Residents also can participate in arts, crafts and painting classes or join clubs like the gardening club or Happy Stitchers. These activities help build camaraderie and give residents a strong sense of community belonging. Overall, research suggests that higher levels of social support and lower levels of loneliness are directly related to improved well-being. Access to educational programs helps keep Life Plan Community residents intellectually engaged. Keeping the mind active is just as important as keeping the body active—especially for seniors. Learning new things, attending cultural events and engaging in intellectual activities all contribute to better memory and slower cognitive decline. Residents in Life Plan Communities are more likely to participate in these activities…in part because they are readily available. 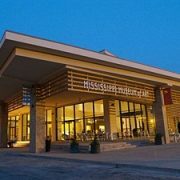 St. Catherine’s Village, for instance, hosts several educational events including the Nourish Your Noggin series of workshops that present the latest research and information on brain health and aging. Residents can learn a new language by taking the beginner Spanish class. Plus, day trips to theatrical shows and concerts as well as off-campus excursions are planned. Life Plan Community residents have better physical wellness. Staying active, eating healthy, sleeping well, and taking care of oneself are the major influences contributing to overall physical wellness. Studies have shown that being sedentary for too long during the day can increase the risk of mortality for people as they age. And it’s easy for seniors living on their own to succumb to bad habits, especially if no one is around to encourage them to get up and get moving. At a Life Plan Community, on the other hand, there are activities for seniors of all fitness levels. St. Catherine’s Village not only has an on-site fitness center and heated indoor pool, it also offers a variety of exercise classes to support a healthy lifestyle. These include stretching, chair yoga, low impact cardio, water aerobics, and more. Like all Life Plan Communities, St. Catherine’s Village provides nutritious dining options, too, making it easier for residents to eat well. 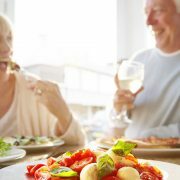 A healthy diet rich in nutrients can help cognition and memory in seniors as well as feed the body. 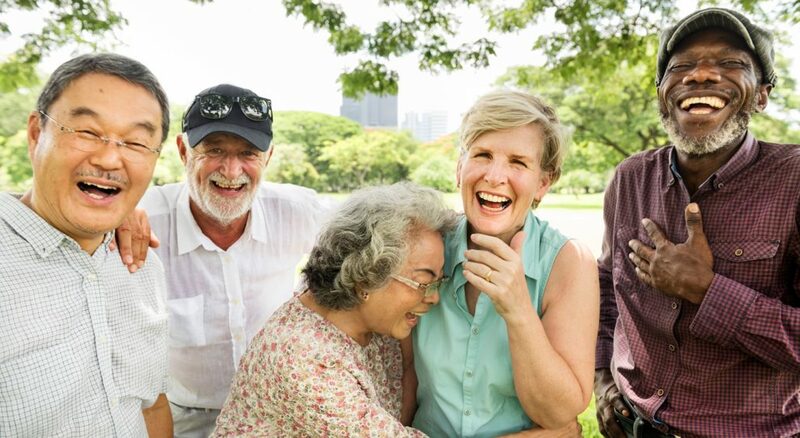 When a Life Plan Community resident does experience a health issue, he or she has access to treatments and caregivers trained in senior living. Residents in Life Plan Communities are emotionally healthier and are more optimistic and satisfied with life. Stress is a major factor contributing to one’s attitude and overall outlook on life. Residents in Life Plan Communities reported low levels of stress—indicating they feel capable of handling challenges that come their way. Part of the reason these individuals may have low stress levels is because they are surrounded by a support system night and day. In addition to being around others in the same stage of life going through similar experiences, they have the assistance of caregivers in times of need. Most Life Plan Communities also offer classes and seminars on topics facing seniors. St. Catherine’s Village is home to a Parkinson’s support group that is open to the public as well as residents. Residents can join the choir, watch movies together, and play organized games to increase their happiness and reduce their stress. The biggest take away from “The Age Well Study” is that Life Plan Community residents had more favorable average scores on all measures of physical, social and intellectual wellness. This may be because Life Plan Communities tend to offer environments rich in services, programs, amenities, and opportunities that support overall health and well-being. The all-inclusive Life Care program at St. Catherine’s Village allows residents to move into an independent living apartment or home then transition to more intensive care—assisted living, memory care and skilled nursing—as the need arises. Life Care residents are guaranteed services throughout their lifetime. 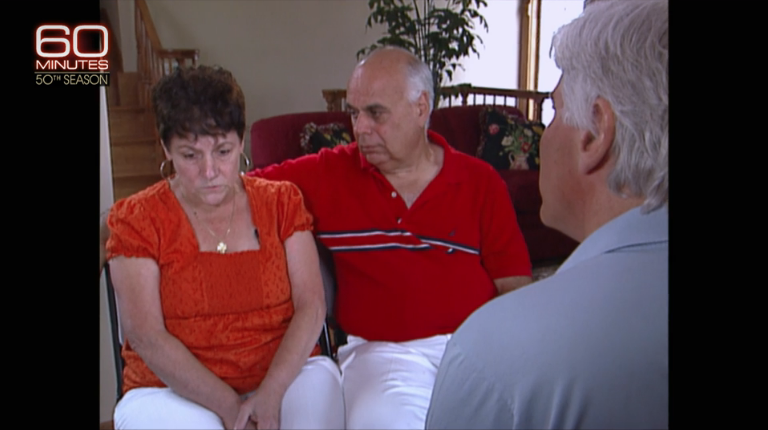 Watch this personal account of the progression of Alzheimer’s disease and how it impacts both the patient and caregiver, as seen on CBS’ 60 Minutes. It follows a couple for 10 years from diagnosis to the final stages of Alzheimer’s and how important it is to have support for caregivers. 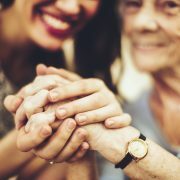 When the time comes and you need to trust someone else to care for your loved one, nursing homes often have a negative reputation. In reality, these skilled nursing facilities offer 24-hour care and support that individuals usually cannot receive at home. When researching the best living options for your family member, consider the following facts and myths. People often assume skilled nursing facilities resemble hospitals. In most instances, that’s simply not the case. Yes, residents receive care from medical professionals and assistance with daily tasks, but rooms present a more comfortable and homelike ambiance. Common areas are designed to be warm and welcoming. Plus, individuals are encouraged to participate in planned or group activities as they prefer and their abilities allow. Social and emotional support is provided for your loved one—and you—as well. While each resident may face unique challenges based on their physical and cognitive health, they are free to make their own choices. Individuals can express their will regarding dining options and engage in social and recreational events as well as cultural and spiritual activities. They also have the right to make decisions about treatment and healthcare. Most skilled nursing facilities pride themselves on their cuisine. Yes, there are medically required dietary needs at times, but the culinary staff work hard to balance nutrition with taste and presentation. Many even offer vegan, gluten-free, low-sodium, diabetic, or organic options. The trend across the country is a shift from rigid menus and stringent meal times to a more individualized approach toward food. Some elder residents of skilled nursing facilities will stay for the remainder of their lives; however, others are recovering from an illness or surgery and require only a short-term stay. Once they regain their health and mobility, they can go home or—in the case of a Continuing Life Care community—move to another area of the property such as assisted living or independent living. Costs for skilled nursing facilities vary greatly based on location and whether a room is private or semiprivate. A resident at a Continuing Life Care community is guaranteed housing at a predetermined monthly rate. Plus, everything is included—three meals a day, snacks, utilities, cable television, and housekeeping along with medical care. With home healthcare, the individual or family continues to pay for groceries and living expenses on top of the healthcare provider’s services. So while it may seem more affordable to hire a home health aide, be sure to consider all expenses to make an accurate comparison. It may be difficult when you realize that your family member needs round-the-clock care that you cannot provide. But when you separate fact from fiction, you’ll gain peace of mind knowing that you can find skilled nursing facilities where your loved one will receive the highest level of care and compassion.